GOMX-4 is a demonstration mission which includes two 6Usatellites: The GOMX-4A mission involves north area monitoring and the GOMX-4B mission is for innovative payload demonstrations.&nbsp;It will monitor and demonstrate Satellite Communication&nbsp;between Nanosatellites, and the in-orbit results and experiences gained from the GOMX-4 experiences will provide knowledge, information and experience for scaling to more advanced communication schemes required by larger nanosatellite constellations. 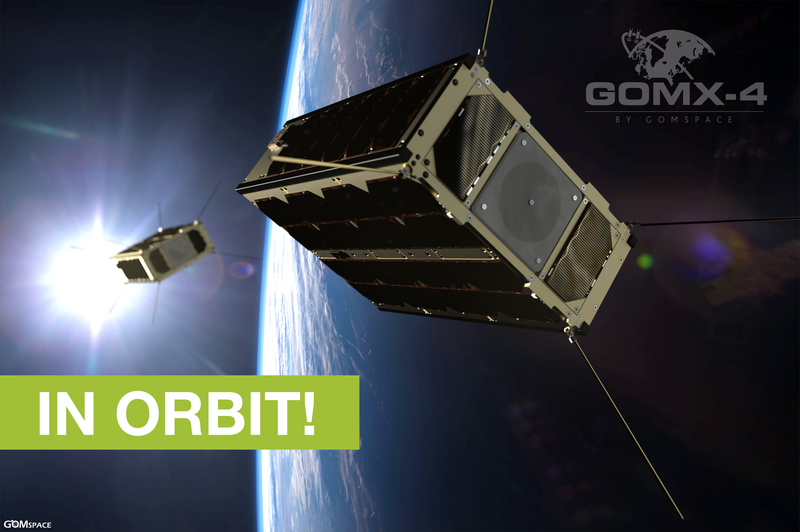 GOMX-4 are twin siblings following the successful GOMX-3 mission and represent the new generation of nanosatellite platforms. GOMX-4B is funded by ESA and it has been designed to be the most advanced CubeSat for IOD. It is based on the innovative and flexible 6U platform from GomSpace and it shall demonstrate the operations of 6 payloads on-board. (The main payloads are a 6U propulsion module from NanoSpace, the innovative S-band Inter-Satellite Link (ISL) (link) from GomSpace and the High-Speed Link (HSL) (link) from GomSpace with high data rate capacities. Additionally, this satellite accommodates the Radiation Harness Assurance Board, called Chimera, developed by ESA to evaluate the behavior in Space of different ceramic memories and two new optical devices, the HyperScout Hyperspectral Camera from Cosine and a Star Tracker developed by ISIS. GOMX-4A is a satellite which will provide data for the&nbsp;Danish Defence Acquisition and Logistics Organization&nbsp;(DALO) and thus&nbsp;contribute to the monitoring of the Ministry of Defense's responsibility in the Arctic. The satellite contains radio receivers capable of capturing position signals from ships and aircraft. 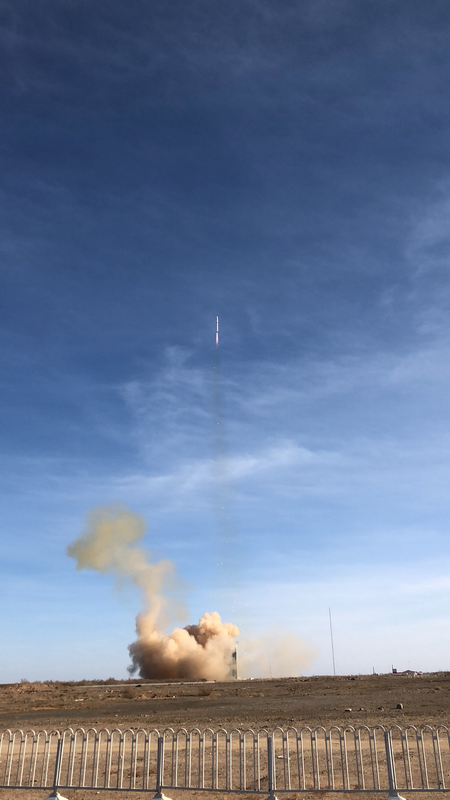 Even with different payloads and mission goals, the two satellites will work together using an Inter-Satellite Link to optimize their capabilities to share data and to transmit it to ground. The life expectancy of the GOMX-4 nanosatellites is 3-5 years and they will be fully operated by GomSpace during that period. The Company's business operations are mainly conducted through the wholly-owned Danish subsidiary, GomSpace A/S, with operational office in Aalborg, Denmark. GomSpace is a space company with a mission to be engaged in the global market for space systems and services by introducing new products, i.e. components, platforms and systems based on innovation within professional nanosatellites. The Company is listed on the Nasdaq First North Premier exchange under the ticker GOMX. FNCA Sweden AB is the Company's Certified Adviser.&nbsp;For more information, please visit our website on&nbsp;www.gomspace.com.